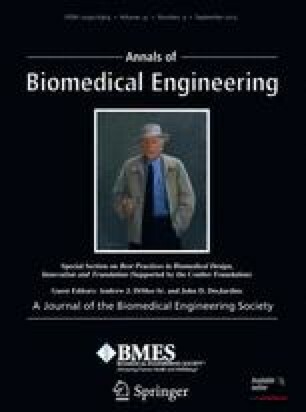 The aim of the study was to design, construct, and test a bioreactor for the conditioning of tissue-engineered vascular grafts under physiological pressure, flow, and environmental conditions and up to supra-physiological pulse frequencies (5 Hz) as the first step towards durability testing. The system also allows the calculation of the compliance of vascular grafts as an indicator of tissue development. The system relies on the combination of a pulse-free pump and a linear magnetic actuator applying pressure pulses with controllable profile and frequency. The compliance estimation is based on the accurate measurement of the vessel’s diameter by means of an optical micrometre. Software-based interface enables the control of a magnetic actuator and data acquisition to monitor the conditions of the system. Porcine carotid arteries were tested in the bioreactor for up to 4 weeks at different pulse frequencies. The tissue was analysed by means of histology and immunohistochemistry. Physiological pressures (~80 and 120 mmHg for diastolic and systolic phase, respectively) were generated in the system at frequencies between 1 and 5 Hz. The environmental conditions within the bioreactor were monitored and online determination of the compliance of the arteries was achieved under sterile conditions. Conditioning of the grafts resulted in the abundant production of ECM proteins. In conclusion, we developed a bioreactor for the conditioning of tissue engineered vascular grafts under controlled pressure conditions. The system is suitable to perform durability tests at supra-physiological pulse rates and physiological pressure levels under continuous monitoring of environmental variables (pH, pO2, pCO2, and temperature) and compliance. Luis G. Hurtado-Aguilar—joint first author. An erratum to this article is available at http://dx.doi.org/10.1007/s10439-015-1303-x. This research was carried out in the framework of the Transregio 37 project “Mikro- und Nanosystheme in der Medizin – Rekonstruktion biologischer Funktionen” funded by the German Research Foundation. Colombo, A., S. Guha, J. N. Mackle, P. A. Cahill, and C. Lally. Cyclic strain amplitude dictates the growth response of vascular smooth muscle cells in vitro: role in in-stent restenosis and inhibition with a sirolimus drug-eluting stent. Biomech. Model. Mechanobiol. 2012. doi: 10.1007/s10237-012-0433-4. World Health Organisation. Estimated total deaths, by cause and WHO Member State, 2002, http://www.who.int/research/en/, accessed on 15 December 2010.